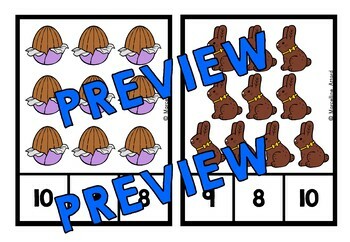 This hands-on fun pack, containing 20 task cards, is an ideal resource for your Easter Math Center. 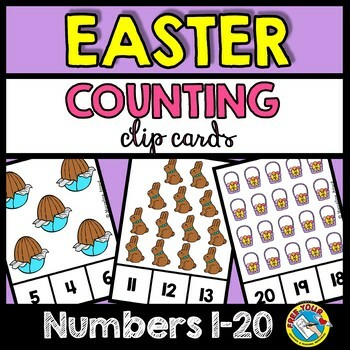 Children have to count the Easter items (1-20) and clip the clothes pin onto the corresponding number. 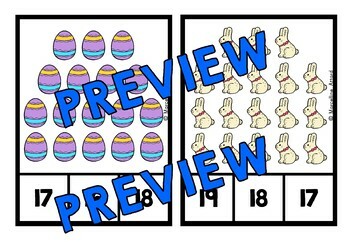 The perfect resource to motivate your students! 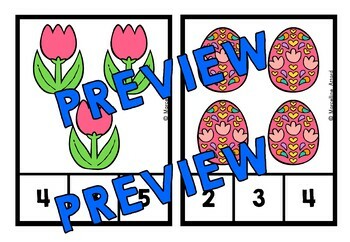 CHECK OUT MY OTHER FUN EASTER RESOURCES BY CLICKING HERE!